A Bunch of New CDs! Hello, hello, happy Thursday evening, hope it doesn’t find you too thirsty! Guess what, we’ve got a bunch of new CDs for you to check out for the weekend, all kinds of genres! I’ll be covering a couple of them in further detail tomorrow, but for now here’s a list. As you may or may not know, our very own professor Dan Abraham moonlights as the conductor and artistic director of the Bach Sinfonia, a Maryland organization which hosts concerts, lectures, and other events devoted to Baroque and Classical period music (hence the name). The Sinfonia’s first brush with internet fame on our blog came in January when they hosted a performance by Chatham Baroque. This Saturday they are hosting their next event at the Cultural Arts Center at Montgomery College, Silver Spring. It is a showcase of the works of Carl Philipp Emanuel Bach (son of the famous Johann Sebastian), in his Empfindsamer Stil (“Sensitive Style”). Turns out, C.P.E. knew exactly how to turn it down while keeping it passionate. This event is to celebrate his 300th birthday! C.P.E: Strictly for the headz. Featuring Douglas Poplin on cello and Adam Pearl on harpsichord, this event will include two symphonies, a cello concerto and a set of variations. There will also be the FIRST performance in North America of a recently identified Sinfonia by Wilhelm Friedemann Bach. Exciting! Welcome back from your spring break, Music Library readers! Whether it was spent in warm, beachy climes or, like mine, even further north than usual with the usual assortment of cold, wind, rain and snow, I’m sure it was well spent catching up on your me-time. But being back at school isn’t all bad, right? For one thing you’ve got us to visit! For another, we have a great new arrival! This one’s a big deal- a 12-volume CD set from the Naxos classical record label. And it contains some rather interesting/intense music. It’s called KZ Musik and it is a compilation of music written by inmates in Nazi concentration camps during WWII. KZ Musik is intended to collect performances of every single piece of music composed in this horrific setting. It’s a lot of music, including compositions in nearly every classical form you can imagine: symphonies, lieder, piano sonatas, fugues, dances, arias, duos, trios, quartets etc. They also span a large variety of instruments, from pieces for full orchestras to smaller chamber groups, pieces for pianos, organs, guitars, vocal works, and more. This will probably be the most comprehensive collection of music composed in concentration camps to ever be released. It is meant to make sure that nothing falls through the cracks- while certain Holocaust pieces such as Messiaen’s “Quartet for the End of Time” have been canonized, a litany of works have been ignored, until now. The music, naturally, is both depressing and inspiring- a portrayal of the human spirit and its creativity even in the darkest of surroundings. Come check it out! 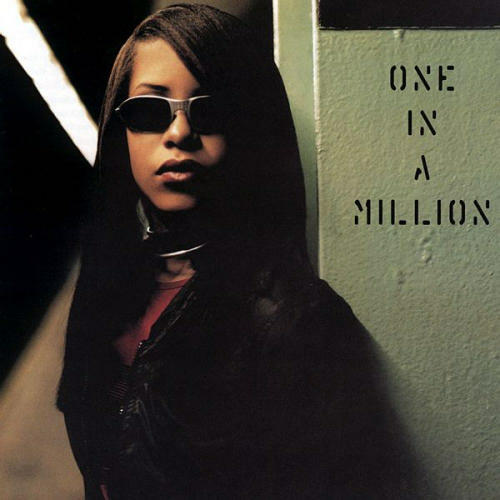 Here’s the link to the first CD of 12. If you’re really interested, click the link for “Varying Forms of Title” (shown below) for the rest of the items. If you’re a music student at AU, there’s a good chance that you’ve had Daniel Abraham as a professor. What you may not have known was that he moonlights as the conductor and artistic director of the Bach Sinfonia, a Maryland organization which hosts concerts, lectures, and other events devoted to Baroque and Classical period music (hence the name). Anyways, this weekend the Sinfonia is hosting a performance by Chatham Baroque, a group heralded as “one of Pittsburgh’s greatest treasures” by the Pittsburgh Post-Gazette. This trio specializes in 18th and 17th Century music, making them a perfect fit for the Bach Sinfonia’s mission. What makes them special is that they perform their pieces on instruments of the period. Andrew Fouts plays Baroque violin, Patricia Halverson plays viola da gamba, and Scott Pauley plays theorbo & Baroque guitar. Hearing Baroque pieces performed on these instruments must transport listeners centuries back in time. The event will be held at the Cultural Arts Center in Silver Spring, MD, on Saturday night, June 25th. The trio will perform works by two of Bach’s predecessors, Heinrich Ignaz Franz Biber and Dieterich Buxtehude, as well as several by Bach himself. According to the Sinfonia’s website, this performance will be a “reprise of the triumphant concert presented this past summer at Spoleto Festival USA in Charleston” and the only chance to catch them in D.C. this time around. If you’re a fan of Bach, Baroque music or musical history in general, this event should be a great way to spend your Saturday night (maybe with a similarly sophisticated date). Welcome back to school, beloved readers! While this is the first week of classes, we know what that really means… a week of syllabi, with minimal homework. And what, in turn, does that mean? I think it means more time to catch up with your Music Library blogging! We’ll begin the semester with a cool linked article from the Washington Post. It describes exciting new initiatives by the National Symphony Orchestra and the Washington Performing Arts Society (WPAS) to build connections between the current classical music community and a potential larger audience in the city. 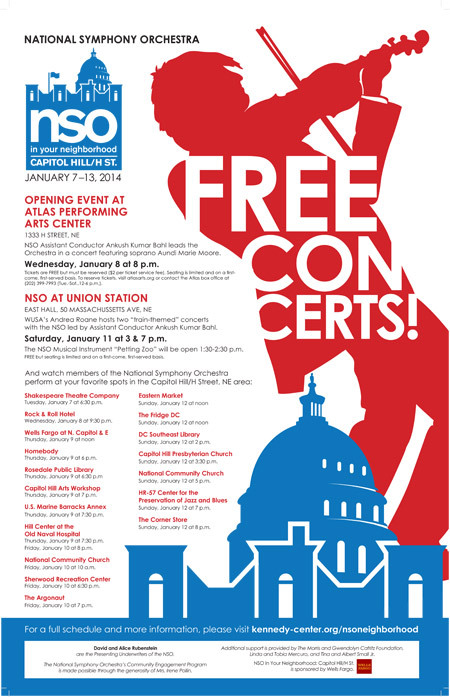 The “NSO in Your Neighborhood” program finds members of the NSO coming to different areas of DC and putting on performances for free, in a manner already adopted by orchestras in Philadelphia, Detroit and more. Recent venues include schools, community centers and even Union Station. Smaller, more “portable” chamber groups have even performed in coffee shops! These free concerts do away with the two biggest obstacles to spreading classical music in Washington: location and cost. Now, rather than slogging out to the Kennedy Center or shelling out big bucks to get in, many more Washingtonians can enjoy a free show, brought to their neighborhood. WPAS, in a different attempt to build the classical community, is planning to use an “urban arts curator” to find local, nonprofessional musical talents to collaborate with. Both of these programs have the potential to reposition classical music as a more community-friendly genre. They are both increasing the visibility as well as the accessibility of classical music, and it will be interesting to see how it works out. Yo-Yo Ma on music & on our shelves! If you’re at all involved in the classical music world, you’ve heard this guy’s name. 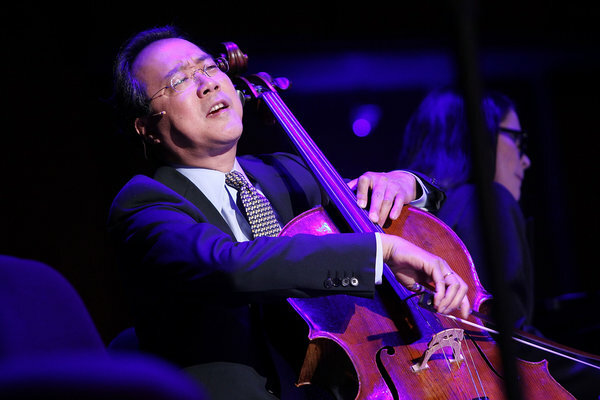 Even if you aren’t odds are you’ve still heard about preeminent cellist Yo-Yo Ma. We’ve got several fans of him on our staff. The New York Times just published a very interesting interview with him in which he discusses his changing relationship with music from youth to adulthood, and, reciprocally, music’s changing relationship with him. This interview should prove to be intriguing to anybody with an interest in music, not specifically fans of classical music. I’ll vouch for that! Appropriately, this post would be a good opportunity to mention/brag about the large amount of CDs the music library has featuring Yo-Yo Ma. In fact, there are over 40. Our two most recent Yo-Yo Ma CDs are, typically of the cellist’s omnivorous musical outlook, an eclectic duo. From 2013, we have Yo-Yo & his Silk Road Ensemble’s A Playlist Without Borders. This album follows the trend of Ma’s previous Silk Road projects, striving to blend as many of the world’s musical cultures as they can into a dramatic, explosive quasi-classical brew. From 2011, we have Yo-Yo’s famed Goat Rodeo Sessions, a folky collaboration with fiddler Stuart Duncan, bassist Edgar Meyer & mandolin virtuoso Chris Thile (check out yesterday’s staff picks for one of his albums). This bluegrass-tinged album won a Grammy for Best Folk Album at the 2013 awards (on this blogger’s 20th birthday!). It happens to be our most-circulating CD, so come by and see what the fuss is all about! Hello all music library readers! Have a little extra time this weekend that you’d like to fill with some musical activity? In this new column, “Cool DC Events,” we at the library will do our best to share DC’s awesome musical happenings with you, so that your regular weekend schedule of rigorous studying and/or partying can be enhanced with a bit of sweet, sweet music. Our first official Cool DC Event is coming this weekend at the National Gallery of Art! The Gallery’s New Music Ensemble, a collective of avant-garde composers and musicians, will be performing on Sunday, 9/29 at 6:30. The performances, from modern classical pieces to electronic sound manipulation experiments, will echo through the NatGal’s East Building auditorium, rattling the modern art pieces on the walls above. Coolest part of this: AU faculty are included among these performers and composers! Our very own DPA department chair Fernando Benadon has a piece, Cotxes, on the setlist, and AU Jazz Workshop leader Noah Getz will be performing on saxophone in another piece, Steve Antosca’s my end is my beginning. So come out, support our faculty and the burgeoning DC experimental music scene, and spend your Sunday evening not trapped behind a book, but lost in strange musical rapture.